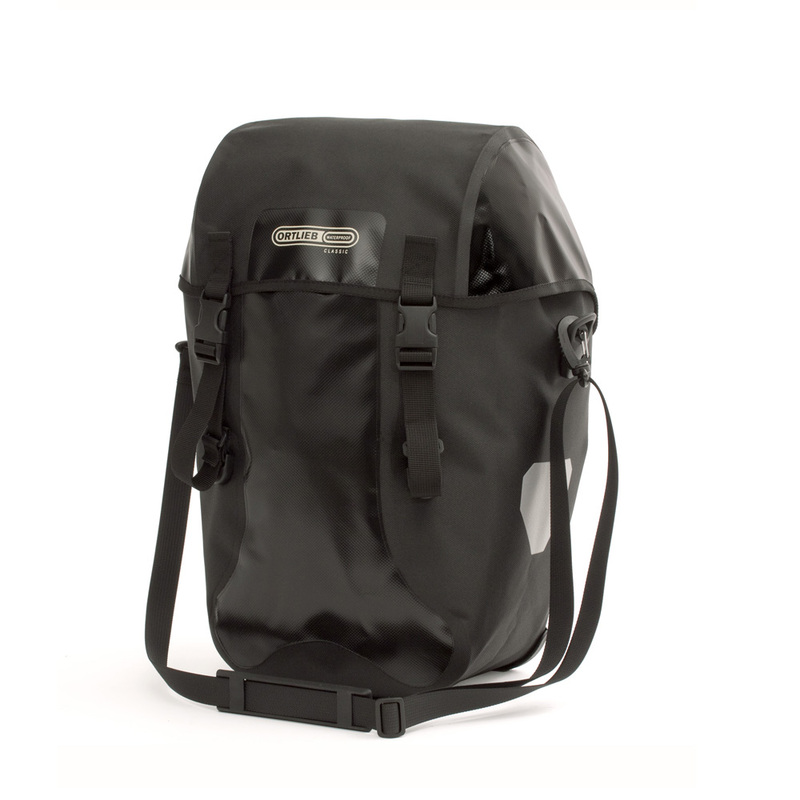 The Bike Packer Classic waterproof rear panniers are Ortlieb’s top-of-the-line, cross-country touring panniers made with the classic polyester fabric. This set of bags hold 40 liters of cargo and the flip top closure makes for easy loading and unloading. These heavy-duty panniers keep your gear safe and dry through all weather conditions.